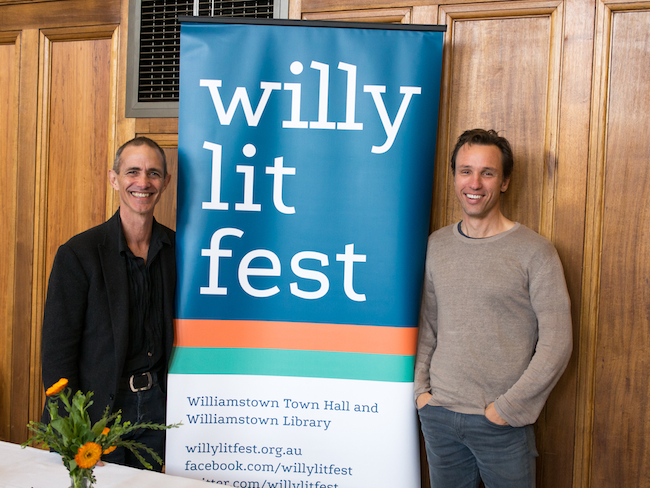 In a full house, Markus Zusak and Andy Griffiths treated us to an intimate conversation between two mates! 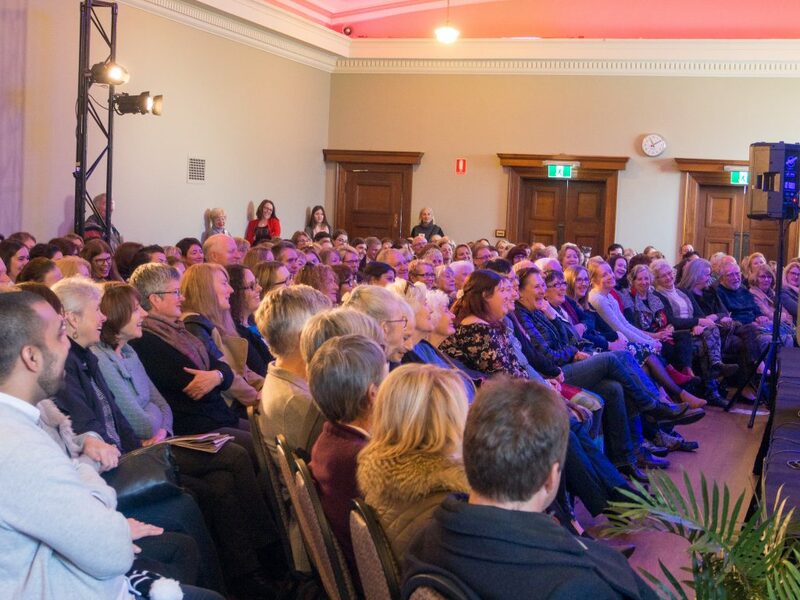 In Beyond the Bestseller we heard how Andy was keeping score with Markus on the book sales and the medals… both now international publishing sensations. The Book Thief turned up the heat when it became an award winning film, and while Andy kept up the pace with his fantastic, passionately well-loved and crazy Treehouse Series (a collaboration with illustrator Terry Denton), we’ve waited with bated breath for a decade or so for Markus’ next work, post the ever-so-compelling The Book Thief. Thankfully the fans have not waited in vain… Bridge of Clay is on its way! 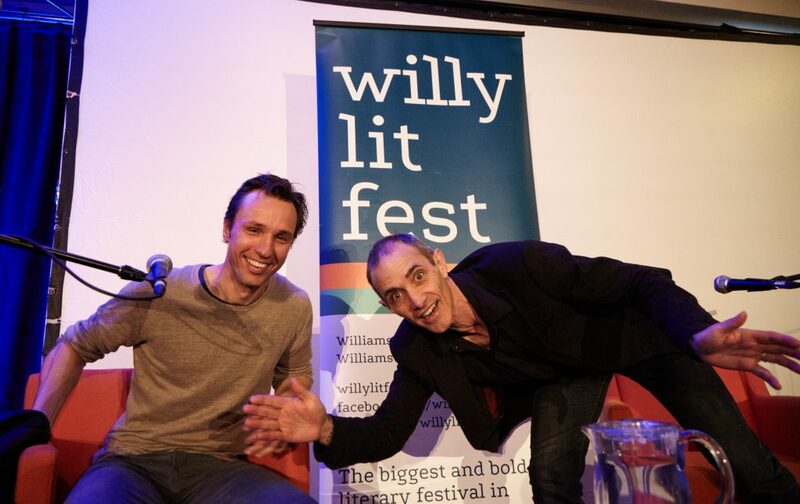 Stories of growing up, the influence of family, backyard games and sparring with siblings, first girlfriends, and first fights, (and a further treat on first rock songs in Stereo Stories later on Saturday night) gave us plenty to enjoy. 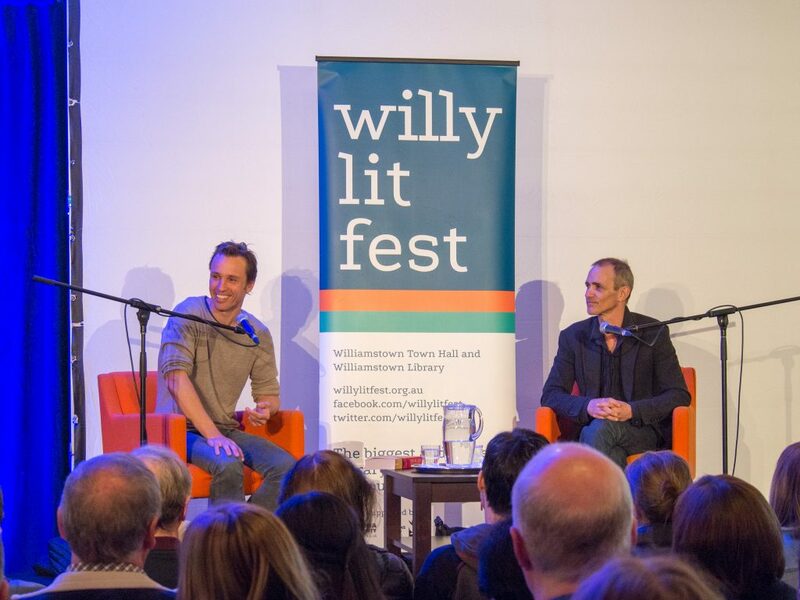 It was truly a special treat from two Australian icons of the publishing industry and an absolute joy to have them here together – the best possible kind of session… with the best possible kind of blokes! We all loved it! Photos by Amanda Piper and Deb Winfield.